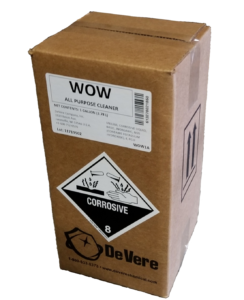 DeVere goes through great efforts to make sure that the product packaging used to ship our products will protect the customer and the environment. If one of the gallons is removed from a 4×1 case, this jeopardizes the integrity and safety of the remaining packaging and it may not provide the necessary protection. 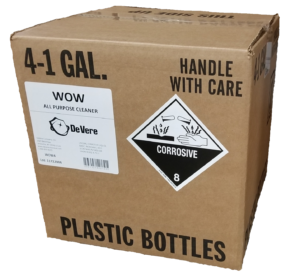 To help, DeVere packages the best-selling, DOT-regulated products in individual one-gallon packages that are labeled for shipping one-gallon at a time. The DOT can hold shipments that do not comply with their regulations. They can also levy fines against anyone who transports packaging that does not comply.